Anna is an actor and theatre maker from Manchester, England. Since graduating from LIPA she has appeared on stage and screen including Parade (Hope Mill Theatre), Real God’s Require Blood (Cannes Film Festival 2017, London Film Festival Best Short Film Nominee 2017), and Constellations (53two). She has loved performing since she was tiny. In fact, she used to make up musicals with her best friend which they would perform to their unimpressed brothers every summer! Anna is really excited to be touring Austria – especially as The Little Prince is her favourite story. Seb Yates Cridland is from Leighton Buzzard, a small village just north of London in the United Kingdom. He first got interested in theatre after seeing a production of Gilbert and Sullivan’s ‘The Pirates of Penzance’ when he was 4 years old. At the time he was obsessed with pirates so the idea of being able to become one who could sing and dance on a stage blew his little mind so the next day he went and joined his first youth theatre and began his acting journey. He is very excited to be making his professional debut on this tour! Luke hails from the sunny island of Malta, and was brought up on showtunes and old movies. 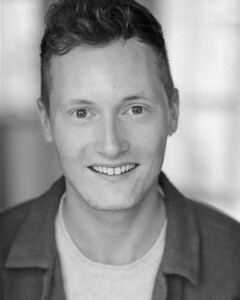 He moved to the UK in 2012 to pursue his childhood dream of treading boards with the greats and trained at the Royal Central School of Speech and Drama. 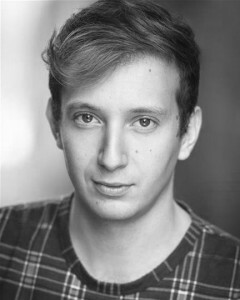 His most recent London credits include: Doodle (Waterloo East Theatre), Pinot! The Musical (New Wimbledon Studio), various commercials across Europe, and also being a finalist in the Stephen Sondheim Society Student Performer of the Year Award. He’s beyond elated to be touring Austria as The Little Prince – one of his favourite books of all time! 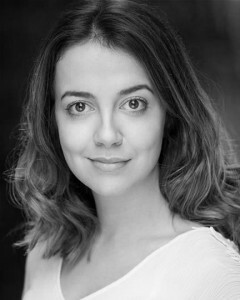 Freya is a Derbyshire born actor that graduated from the Royal Birmingham Conservatoire in 2016. Since leaving, she has performed at the Edinburgh Fringe Festival 2017, multi-roled on stage and screen in Macbeth Kill Bill Shakespeare and toured around the UK in The Bee Project and Wizard of Oz as Dorothy! Freya also performed at Shakespeare’s Globe in the Sam Wanamaker festival. 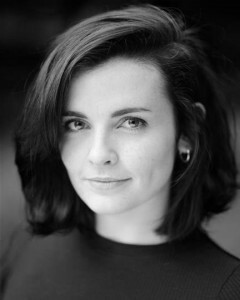 Freya began her love for performing when she played the lead role in a WW2 play at 10 years old! She is a keen traveller, music enthusiast and film lover and is super excited to be making her Vienna English Theatre debut as Flygirl this year.